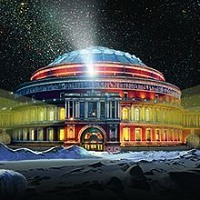 "A voyage through a galaxy of favourite music from deep space and beyond, with lights, lasers and fireworks. Including works by Holst, Strauss and John Williams - perhaps the greatest film composer of all time and winner of over 40 prestigious awards, including 5 Oscars. Over the decades their music has accompanied us on epic adventures, told us stirring tales, and taken us on a great many emotional journeys. Iconic pieces have even transported us back to a long time ago in a galaxy far, far away, so often painting a full picture before the actors even say a word!"